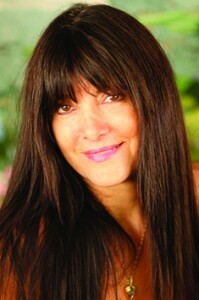 In early October 2001, I began having the most amazing, glorious experiences at the Rose Temple of Divine Love. I had been guided to the foot of Mount Shasta for the winter to write. Enveloped in the solitude and majestic beauty of that mountain, I drank in the incredible energies that radiated from it and felt a sense of peace and protection, as if a vast masculine power was holding me in his strong embrace. I received a Divine Message telling me I was being prepared for a ‘release’ from the Heavens. In that moment, a white energy began spiraling up from my feet to my crown, enveloping me in a cocoon of light that continued for two months. Wrapped in this Divine Energy and spending much time in solitude, I traversed the scary nightmare of 9/11, holding in a place of deep peace. While others felt shattered, depressed, and lost, I was witnessing light from the Heavens pouring into my being daily, wrapping me in an exquisite white light. The days had grown colder. Each night, after writing, I looked forward to soaking in a hot bath surrounded with rose candles. One night, Mother Mary appeared to me, inviting me to the Temple of Divine Love. Immediately I was transported to a glorious Temple in the Heavens, where I found myself bathing in a healing pool of Rose Light, while Mother Mary spoke to me about the Healing Power of Love. No sooner was I in my candlelit bath each night, Mother Mary would appear and take me to the healing pool in her Temple. There she would instruct me on the healing properties of the Rose Essence while a deep and hidden pain would emerge from inside of me, like a dark mass of energy and be transformed. Through the Rose Light, I was being healed of all my misinterpretations about love gathered from the painful experiences of my past. Divine Healing Action: Third Eye Activation, Violet Flame Transmutation consuming misconceptions and false beliefs about Self, Flame of Truth Transference Setting Humanity Free, Realignment with Divine Self and Its Divine Plan. 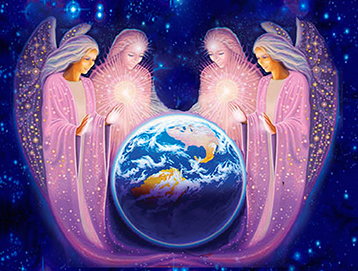 Each time you play this message, Divine Beings gather with Vesta, illuminating the souls of humanity, while Vesta passes the Flame of Truth to you and souls worldwide to set humanity free. As Healing Light is released, she brings an understanding of how cataclysm and all dire conditions can be healed at the causal levels within the psyche of humanity, which is their origin. The mighty action of this release activates your third eye, so you can see with ?eyes of truth.? Under Vesta?s administration, all misconceptions that have covered over your Illumined Self Awareness, that have created lack of self worth and low self esteem are gathered up by Holy Angels and placed in the Violet Consuming Flame. From Vesta: I bless you with the Truth for I, Vesta, have held the office of Goddess of Truth for this planetary home for eons, and this torch passed to Pallas Athena, an office she holds, has been the supreme source of Truth in this world. This Flame of Truth blazes within. It is the Eternal Light of who you are, which you may access by going within and embracing it within your heart. Divine Healing Action: Enfoldment in the Ray of Love, Bringing Comfort, Quickening Lost Memory of who you truly are, Divine Realm Attunement, Remembrance of Realms You Are From and Your Divine Purpose. From Mother Mary: In this Sacred Healing Transference, I bring forth a gift of the Rose Light of Love from realms where eternal glories are known. As you listen, rose petals from the Heart of God will enfold you in the Ray of Love. These petals hold a sweet fragrance and essence of the Heaven Realms. They are a gift of love from my heart, bringing you the comfort of the Divine Mother, quickening your memory and attuning you to the Heaven Realms from which you have come, that you may remember your true reality, that you are a soul who has journeyed forth from the Realms of Light into this earthly realm for a Holy Purpose. Each time you listen to my message, you can drink in their fragrance and know the harmony in these blessed realms that know only light, tranquility and peace, and which are yet to be remembered and reclaimed as you walk your earthly path. Beloved, it is time for your remembrance, time to embrace the truth of who you are, to cast aside the veils of illusion and no longer deceive yourself into thinking and believing you are alone in this world, purposeless, friendless, and that somehow Father Mother God has forgotten and abandoned you upon this lonely and sometimes seemingly Dark Star. For it is not true. You have never been forgotten and ever the Love of God resides with you, though not always a part of your conscious awareness, yet always present, ever ready to bless, uplift and serve you in every way. The veil of forgetfulness you took on is part of a great Divine Plan that has afforded you the greatest opportunity to go on a Quest For Truth, a quest of self-discovery through a virtual reality experience in this earthly plane. Imagine what a Grand Design this is that would allow your soul to traverse realms and enter a reality where the veil of forgetfulness descends and where you are left all alone to remember, if you can, the truth from whence you have come and who you are. This is a great adventure, a great opportunity and quest unparalleled amid many quests on this planetary home. Can you imagine how exciting it is to rediscover yourself and to find, after all, you are divine, that you have come from realms fair and illumined, and that you came in with a Holy Vow and Purpose? You must find, by seeking out the truth of who you are, that treasured reality, the Grand Treasure that awaits you in who you are. Each time you listen to my message, I will transfer this remembrance to you through the Rose Light of Love. Divine Healing Action: Raising you into the New Vibration of LOVE, Rose Ray Healing of schisms within you and the psyche of humanity, Transformation of all that is less than LOVE, all patterns creating war, hatred, and disease, Fanning Flames of Divinity Within You, Awakening You To Who You Really Are. From Eros: In this moment, as we of the Heaven Realms come with a New Vibration, enfolding all in the peaceful sacred presence of the divine, there is a grand opportunity; a grand design unfolding for your soul and you can rise to meet it. You can choose the Healing Power of Love that is gifted into your hands by Elohim of Love today. This is a momentous spectacular release, Beloved. Each time you listen to this message, you can feel the upliftment as the Sacred Fire of Love burns bright within your soul, every atom, cell and electron is quickened, your solar awareness awakened, and you feel the unity with the God Presence within. You can feel the harmony of the spheres, the great loving as Father Mother God through us enfolds you. You can feel Love as it courses through your veins and heals the blocks and memories with their causes and cores. You can be awakened to a momentous reality, which shall bring great peace to your soul. Today you may claim a greater love within your soul by opening your heart fully to our message and the light of love that descends when you listen to it. Let it fill your heart. Let it heal the wounds. Let it heal the harshness, hardness, stubbornness and belief systems that are etched in until they become rigid realities. You need not be confined to these lesser experiences of love any longer. Seek now the greater freedom of your soul's expression, as it becomes the full embodiment of the Love of the Divine Presence within you. Awaken to this Inner Light and feel the full God Presence living and moving and having its being within you, moving you into alignment with the new vibration of LOVE. Divine Healing Action: Transformation of the Earth Body, Healing of all torturous memories, pain and suffering, Angel Ministration, Setting You Free So You Can Be A Vessel and Emissary of Divine Love. From Amora: Each time you play this release, a gift from my heart is here waiting to help set you free to be a Vessel and Emissary of Divine Love. as Rays of Love descend and our beloved Legions of Divine Love fill this world's atmosphere with the Rose Ray of LOVE. As you open your heart fully to Divine Love, I, a Sacred Mother Presence, will bathe you in the Rose Essence, the Rose Flame of Love, that will heal all torturous memories and transmute all the pain and suffering you have known. For I am come, a Mighty Elohim and great cosmic being, one of the great builders of form who have known the perfect manifestation of physical octaves and have brought forth the Divine Intention to physical reality for eons. A Vessel of God, I come to prepare you to be a Vessel of the Sacred Light of Love for this New Age. This is an Era of Love, Beloved, a great time on Earth when hearts around the world gather up their strength and cast off all illusions of love and all misinterpretations that have caused war on every level. All the hatreds, revenges, and resentments now can be cast out and transmuted by this Flame of Love. Each time you listen to this message, you can gather up from deep within your psyche those most painful memories and release all the pain, heartbreak, suffering, and misery you have known in love. All of these conditions are karmic. They are not the divine intention of the Realms of Light. Instead, they are experiences, a mix of shadow and light, to give you certain circumstances for your soul edification and growth. These have birthed misinterpretations and thus has your reality been filled with the dysfunctions of love, the misinterpretations that create schisms in love relationships and with those closest to you. Now you can release these painful memories with all of their records, causes and cores, into the Divine Flame of Love, which I bring and place before you. If you are willing and give your ascent, Holy Angels will come to minister to you personally each time you listen to my message. Divine Healing Action: Anchoring the Flame of Love in the Earth, Quickening the Remembrance of Who You Are, Cleansing You and the Earth from all unreality, Transmutation of the False Self and all Schisms in your Psyche in the Flame of Love, Restoring Your Wholeness, Cleansing all Records, Misinterpretations, Blocks, and Dis-ease. From Maha Chohan: Each time you play this message, a great healing can take place, transforming and uplifting humanity into the Divine Reality ever present for every soul, restoring Eden on Earth. Would you be free, Beloved? Partake of this sacred release of the Fires of Love often and watch as the human self falls away, increment by increment, until you are completely restored to who you truly are, a Divine Being come to Earth with a Holy Purpose. I, the Maha Chohan, known by holy ones as a bearer of the Holy Spirit, with my Holy Angels can cleanse clouds of unreality within you each time you play this message. I come in the Presence of the Holy Spirit, anchoring the Flame of Love into the Earth body. We gather up the clouds of unreality, which most on Earth have been living in. We cast them into the Flame of Love from the Father Mother God, from the Blessed Elohim and the Holy Archangels of Light, the blessed Angelic Hosts, Great Cosmic Beings and Ascended Ones who attend me now. For I can enter the Earth through this message, that this Earth might be free of the false selfhood that was falsely created as each belief was taken on and each schism etched its way into each one's reality. It is time to reclaim your divinity, to awaken and be illumined by the Light of God that never fails to pour its truth upon your soul night and day. For Holy Angels attend you. You are surrounded by light filled beings who care absolutely for your awakening, who give their all for your divine plan to be fulfilled, that you might know the great fulfillment of your soul's vows before you came to this earthly home. Each time you partake of this offering, you can step into the Flame of Love and purify your consciousness, being and world of all the misinterpretations and misconceptions that have beset you and kept you unfree. You can claim your freedom, allowing the Sacred Fire of Love to blaze through your heart, mind, and soul, that you may be cleansed of all records, past, present, and future, all patterns that are less then the truth of who you are. This is a mighty opportunity, to be bathed in the Fires of Love and become new. To remember, through the flame of illumination, your true innocence, the true purity that has never been tainted or destroyed. This sacred part of you remains unadulterated, unmoved by earthly circumstance, untouched and untainted by this world and the dramas and traumas that have beset you. You are free, an eternal being, who shines forth in its true glory all the time. This Eternal Presence, awaits your arrival in consciousness, your memory, your remembrance, that you might reclaim this lost part of you, that dwells in such dignity, knows only honor and truth, and lives in eternity forever more. Divine Healing Action: God Self Activation to Right Every Wrong, Dissolve Every Illusion, and Set you Free to be the Truth of Who You Are, Resurrection of Flame of Truth, Dissolution of Schisms in Your Psyche, Anchoring the Flame of Truth on the Altar of Your Heart. From Pallas Athena: Each time you play this message, I can cast out illusions and that which would cling to your life and support a lesser reality. I can pass you the Flame of Truth, for I, Pallas Athena, come in the Flame of Love with such a great loving for your soul. I would gift you truth, that you might know and understand that you are divine and that your passage here is purposeful. This is an Age of Love, where Love waxes full in the hearts of humanity, where souls embrace each other lovingly and the Spirit of Love flows forth through many lands radiating out to all people. This is a precious time, Beloved, a time to cast off your bigotry and the false ideologies and beliefs that would keep you separate from your brethren humanity. It is time to enter the heart of loving that beats into your own physical heart with its mighty rhythm of love. This Love is divine and is of your Divine Self as it blends its heartbeat with the rhythms of this physical reality. This is a Sacred Mystery beloved, where the communing with the Beloved God Presence, the God Self Within, lends its magic into your consciousness, being and world until you are transformed, until the old ways, beliefs, patterns and behaviors fall away, and only that which remains is true, pure and holy, the true part of you that ever is and ever was and ever shall be. As you listen to my message, I call forth your divinity from deep within your psyche where it has been covered over with false beliefs, perceptions, and realities. I ask the God Self to come forward and make itself known to you absolutely, that its Holy Presence might right every wrong and dissolve every illusion, setting you free to be the truth of who you are. As you allow it to dissolve all the schisms in your psyche, resurrect the flame of truth within your soul, and anchor the flame of love upon the altar of your heart, you will know the sacredness of its holy presence with you. Divine Healing Action: Release of Light Supreme, Illuminating, Healing and Restoring your Soul, Awakening you to the God Reality that is Ever Present Within You and Able to Guide You on an Accelerated Pathway to Your Total Freedom, Enlightenment, and Full God Realization. From Maha Chohan: Each time you listen to this message, I will release the Light Supreme, a light of comfort, a light that speaks of a sacred tryst with the divine and those Realms of Light in which I dwell and where perfection reigns, that you might awaken fully to who you truly are. I, the Maha Chohan, ignite the Light within you to heal, restore, and awaken you fully. This Sacred Release of Light from Heavenly Realms is to illuminate your soul and bring you into resonance with the God Self Within. As you listen to my message, it will quicken and awaken you to the God Reality that is ever present within you. The Indwelling Spirit is all knowing and truly able to guide you on this life journey on a most accelerated pathway to your God Self Awareness, to your total freedom, enlightenment and full God Realization.